Knorr Chicken Stock Cubes is his tip for infusing rice with real meaty flavor. The secret to creating flavour-rich Chicken White Rice lies in the cooking of the rice says Executive Chef Sameh Awad Youssef of Holiday Inn Dubai - Al Barsha. And that requires a really great stock. Chef Sameh makes his stock with Knorr Chicken Stock Cubes as they give the real meaty taste and aroma the dish requires. Watch Chef Sameh create flavour-packed and delicious Chicken White Rice in just 3 simple steps…. 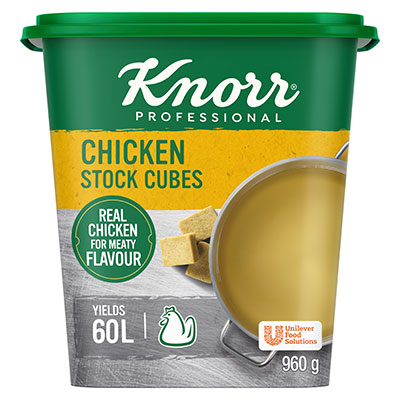 Find out more about Knorr Chicken Stock Cubes.